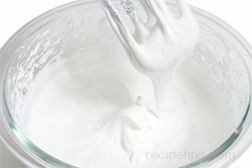 Royal icing is a great frosting recipe for cakes and cookies needing detailed decorations that last a long time because it dries very hard. Also works well for decorating gingerbread houses. 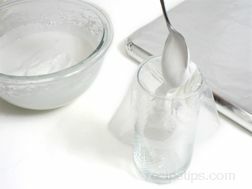 It works as the glue to hold the house together and for attaching other decorations. 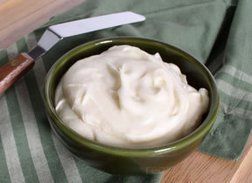 Of the many recipes for frosting, Royal Icing dries the hardest and lacks in flavor so it is not the best choice for an edible frosting recipe. 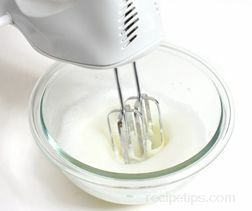 It flows easily so it works well for writing, piping, and outlining when decorating cakes and cookies. 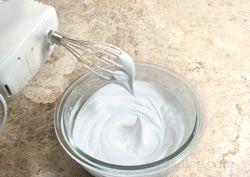 Royal icing has a tendency to dry fairly quickly so it is important to take precautions while using it so it does not dry out before you are finished. 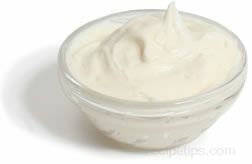 It can be stored up to 3 days at room temperature. 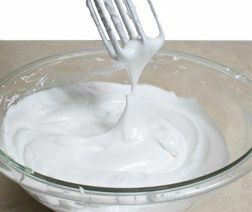 Frosting Types will provide you with for more information on how to store Royal Icing properly so that it will not dry out when you are working with it. 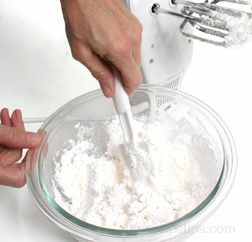 If the Royal Icing seems too runny, add a little more powdered sugar. 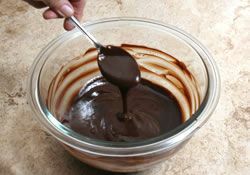 If the icing seems too thick, add a teaspoon of water at a time until it is at the desired consistency. 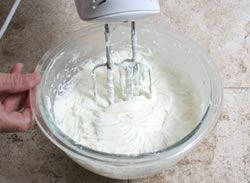 If the damp towel is placed over the bowl while you are decorating a cake or cookies, the icing will remain the proper consistency. 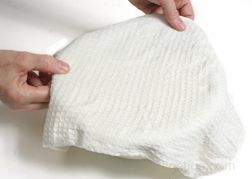 If the towel begins to dry, sprinkle it lightly with water to re-dampen. 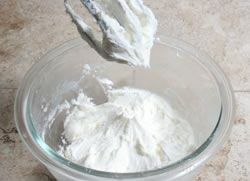 See How to Make a Gingerbread House for more information about storing the icing properly. You are ready to begin the decorating or construction process. 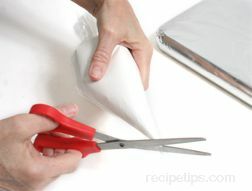 A disposable pastry bag works well for piping and writing but you will have to use a regular pastry bag with decorating tips to make special shapes.